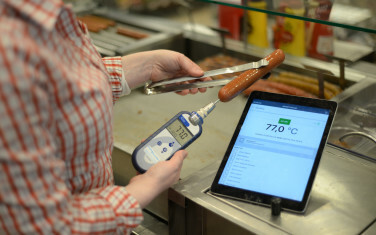 CheckPoint is a digital tool that allows both staff and management at food serving outlets to precisely monitor work procedures and food storage temperatures. 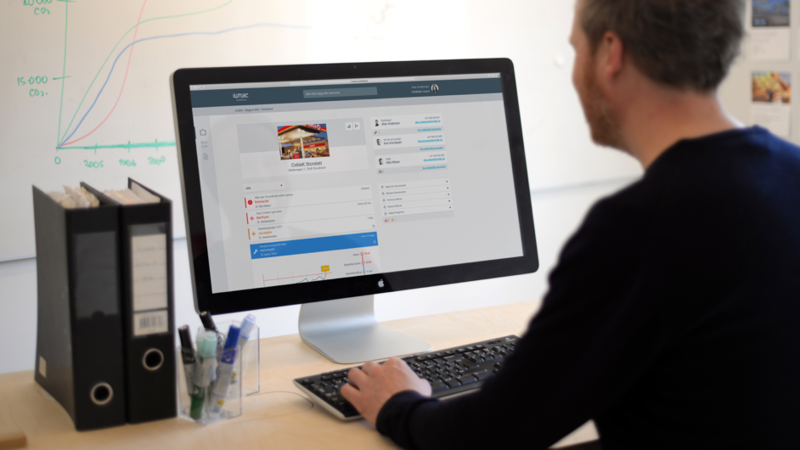 EGGS has helped design three platforms: a desktop dashboard and two apps. All of these make it much easier to comply with the rules and regulations set by the Norwegian Food Safety Authority. All food served on commercial premises needs to be strictly regulated every step of the way - from its original manufacturing source, to it being delivered and then stored before it’s sold to customers. In the past, this meant a lot of tedious paperwork. What CheckPoint does is it digitally logs information. This provides a more effective tool for temperature control and other daily procedures. It includes reminders for additional measurements if necessary - like when tasks remain incomplete - along with recommended actions to resolve any non-conformances. CheckPoint Dashboard gives chief food safety officers a complete overview of all their retail outlets, allowing them to see how each one is performing. CheckPoint Dashboard gives chief food safety officers a complete overview of all their retail outlets, allowing them to see how each one is performing. They can collect whatever data they need, and pinpoint any problems throughout their chain of stores - right down to a specific cooler or heating appliance. They can also immediately spot any discrepancies in daily procedures. CheckPoint Manager is an app for internal food safety auditors and store managers, and is designed for smartphones. Here, managers can check to make sure staff are following the correct procedures when storing, handling or preparing food. CheckPoint Probe is a tablet app for staff working at a store. It enables them to manually check and control the temperature of food. If a deviation occurs, there are instructions on what to do. CheckPoint Probe is a tablet app for staff working at a store. It enables them to manually check and control the temperature of food. CheckPoint not only ensures the safe delivery of food to customers, it also saves companies money. If a cooler breaks down and staff don't act quickly enough, the food starts to thaw out and needs to be gotten rid of - leading to a loss of revenue, which could potentially add up to thousands of kroner. Maintaining the correct temperature of heating appliances and storage coolers also means companies save money by reserving energy. IWMAC’s vision is to substantially reduce C02 emissions. It can achieve this by helping its clients reduce their electricity consumption, and by lessening unnecessary food waste owing to poor procedures regarding food supervision. Because of CheckPoint, senior management in the food serving industry can now rest assured that they have complete control of all food supplies being delivered in, and then being frozen, cooled or heated throughout their chain of stores. At the same time, store managers and staff get to learn new skills that enable more efficient ways of working - they can easily follow the correct procedures and subsequently go about their day knowing they have everything under control. Job and food satisfaction guaranteed for all!